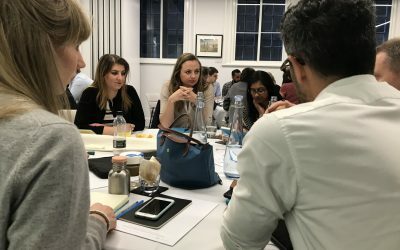 23 digital advocates working in the NHS are about to embark on an exciting new scheme to transform care and deliver better outcomes for their patients. 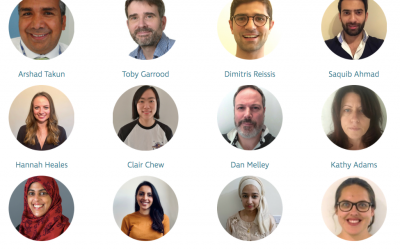 A speech and language therapist, thoracic surgeon, commissioner, pharmacist and transformation lead are just a handful of the leaders selected for the inaugural 2018 NHS Digital Pioneer Fellowship. Professionals from a range of disciplines from 18 organisations across London’s foundation trusts, CCGs and arms-length bodies will take part in this innovative 12-month programme. the aim is to develop their knowledge and capability in influencing, problem solving, change management and business case development, while delivering digital transformation for their organisations. According to the Office for National Statistics, 89% of adults in the UK regularly use the internet, yet, only 2% of people have any digital interaction with the NHS. The fellowship will mobilise a growing cohort of NHS staff who will be better able to meet the digital challenge in healthcare delivery, to deliver the impact that digital transformation can enable. It will also support individuals through a peer and expert network to bring innovation into practice and develop the skills required to lead innovation. From May 2018, the Fellows will begin to take part in action learning days to share and overcome challenges, learn from experts and collaborate to co-design local solutions. With increasing strain on NHS services and growing consumer demand for digital-based health services, the NHS Digital Pioneer Fellowship is the only programme of its kind solely focused on the digital health space. The programme aims to equip, inspire and connect participants with like-minded individuals to support the rapid uptake of innovations in frontline services.